After expanding lead testing across all Chicago Public Schools, the district has announced that a dozen schools have tested positive for elevated levels of lead so far. Last month, the district revealed that Tanner Elementary School turned off a number of its water fountains after they had lead levels exceeding EPA standards. On Wednesday, 11 more schools were said to have similar results. “Given heightened awareness nationally about lead exposure for children and to provide parents with timely information, Chicago Public Schools is taking proactive steps to ensure that our children’s drinking water is safe across all schools by testing every school in the district," CPS said in a statement. As of Tuesday, 15,853 samples of potable water sources were sent in for testing by the district. By Wednesday, 3,044 samples from 58 schools were returned, with 70 results showing "actionable levels of lead," officials said. Of the schools to receive testing results, 12, including Tanner Elementary, had one or multiple fixtures show elevated results. "Families at these schools have been notified, and in most cases each school had one or two fixtures that showed results above the action level," the district said. "These fixtures were turned off." 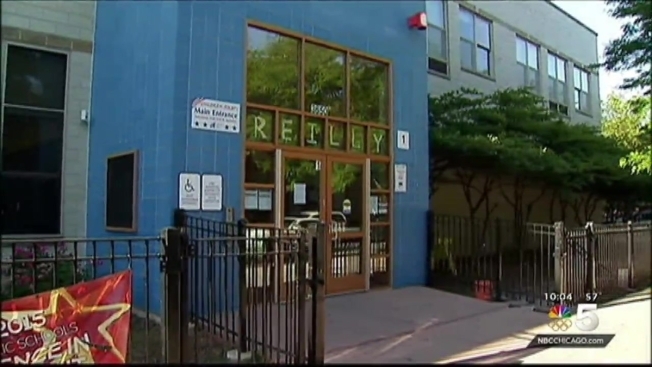 Among the latest schools to test positive for elevated levels was Reilly Elementary School, which is being re-tested because of "possible extenuating circumstances that could have compromised the testing accuracy," officials said. CPS noted that out of an abundance of caution, potable water fixtures at the school have been taken offline until the new test results come back. Last month, district officials revealed they would test every single school for lead, prompting concerns from many parents. "We’re going to test every single water outlet in the district and we’re going to do it on an expedited basis and make any adjustments we might occur," said CPS CEO Forrest Claypool. A total of 250 schools were being tested, particularly schools that have been in place before 1986 that could have lead piping, officials said. Commissioner of the Chicago Department of Public Health Dr. Julie Morita said the move was "out of an abundance of caution." After launching a pilot program to test lead levels in Chicago Public Schools, the district announced Friday that it would expand testing after lead levels were detected at some schools. Trina Orlando reports. “We are not Flint, Michigan, and what CPS and the Department of Water Management we have been doing is out of an abundance of caution," she said. "We know the vast majority of children who are lead poisoned in the city of Chicago are lead poisoned as a result of lead-based paint." “If parents are concerned, they can contact their health care provider,” Morita added. Claypool said the lead testing was not linked to complaints but was rather sparked by the Flint, Michigan water crisis, which focused on the dangers of lead pipes. The mayor's office echoed Claypoool's sentiment at the time. “While CPS has no indication that there is any lead present in school water, CPS has launched a pilot program to develop a standard approach for testing across the district,” a city statement released in April said. 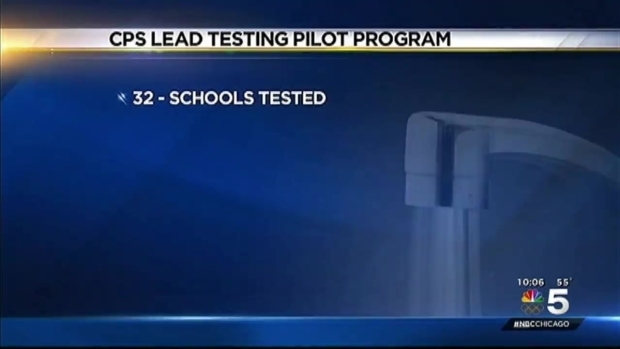 For more information, parents can go to cps.edu/leadtesting.